The house has been very quiet since the kids left for college. It has given me a lot of time to sew and my machine has barely stopped humming since they left. 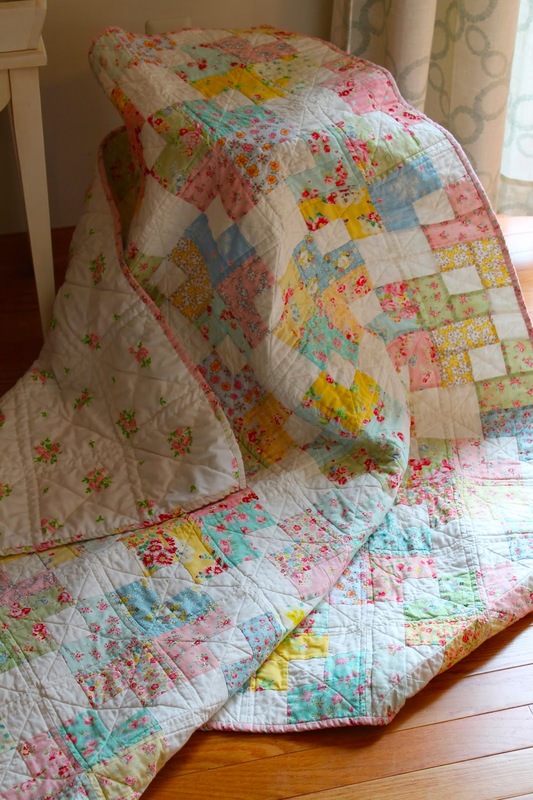 This quilt is "Swell" from Camille Roskelleys book, "Simply Retro" and hands down is one of my very favorites. I used as many different small florals as I could find in my stash and a lot of that included Old-New 30's, Flower Sugar, Antique Flower Collection and many more. I used a vintage sheet for the backing and left the border off for a more vintage feel. This one I quilted myself and was very pleased with how it turned out. Have a good weekend, friends! Just gorgeous! 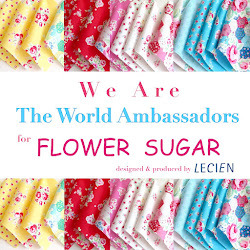 Flower Sugar is one of my favorite lines, I have some and have to force myself to cut into it, does that make me a hoarder? The quilting looks beautiful too. 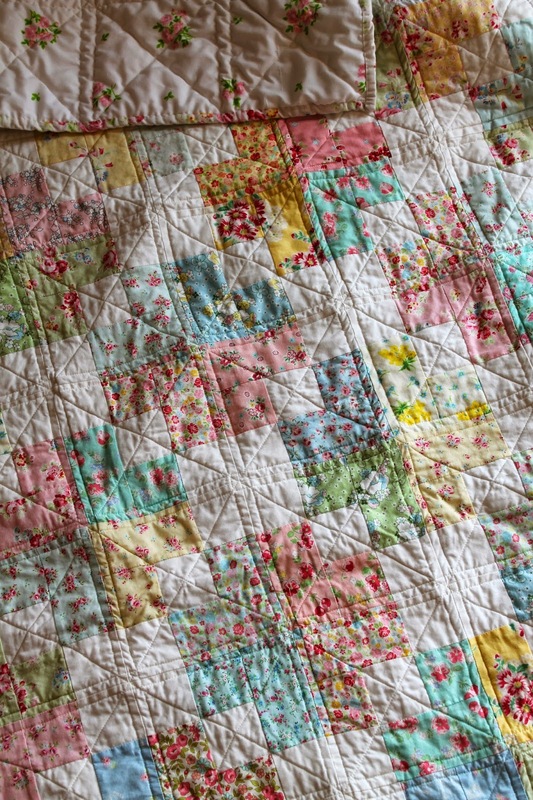 An absolutely lovely quilt Renee! Beautiful with all the florals! I just want to snuggle it! Thank you for sharing it. Oh my, that is just beautiful! That is the prettiest Swell quilt I've seen! Beautiful! I love your interpretation. This one is on my to-do list as well. Your quilt is beautiful Renee. A stunning piece of work, the fabric is delightful. Have a great weekend. That is an absolutely gorgeous quilt. 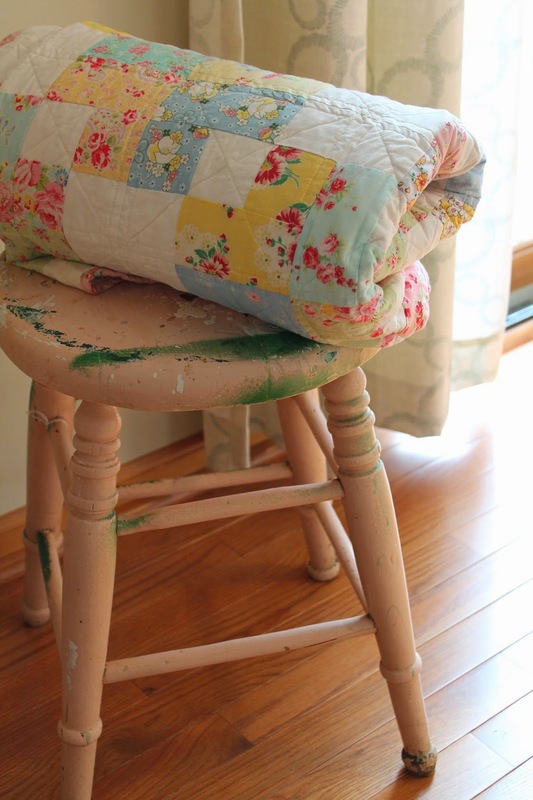 Love your color choices and simple but stunning quilting. This is beautiful, Renee! Love your fabrics. I have that book too and never would have thought of using softer colors for this pattern. That quilt is perfection! It's making me want to sew desperately! Now if I can just figure out why my thread tension is giving me such fits! I love the fabrics. Your quilt is beautiful. I love the quilt, you used my favorite types of fabric. I have that book and will have to put that quilt on my list for working on soon.